We have, at this time, very little detail about the Virginia campaign to make the square dance the official American folk dance of Virginia. We do know that, as of May, 1990, LEGACY International's American Folk Dance Committee, led by Frank and Helen Cavanaugh, listed Roy Thanker as its Virginia chairman. We do know that a bill, House Bill No. 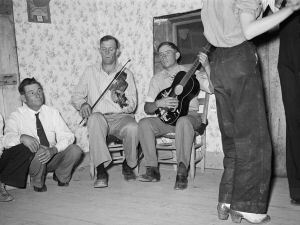 1247, proposing the square dance as the state's official folk dance, was filed on January 9, 1991. 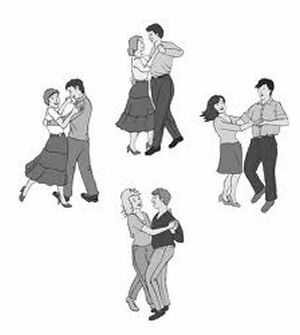 We also know that the square dance was designated the official folk dance of Virginia in 1991 by an Act of the Virginia General Assembly, Chapter 71. We know that the legislation, approved by the Virginia General Assembly was signed by Governor L. Douglas Wilder. We believe that Governor Wilder signed the legislation in early May, 1991, but do not know the specific date. At this time, the Virginia bill has passed both houses and is now awaiting the Governor's signature, which is planned for early May. If you can provide us with additional information, please contact us. 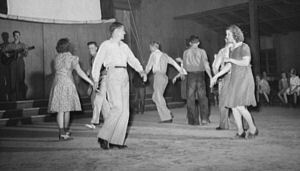 A brief description of the efforts to declare the square dance the national folk dance of the United States of America can be found here. 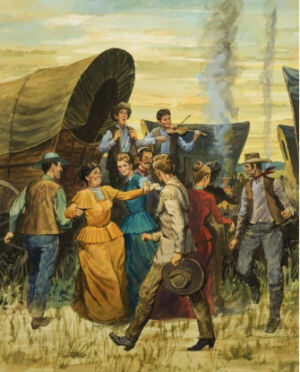 This article and some of the additional information we provide will give you some insight into why the definition of a square dance is expanded in the Code of Virginia and "includes squares, rounds, clogging, contra, line, the Virginia Reel, and heritage dances..."
The following information was excerpted from the Code of Virginia , Title 7.1, Chapter 5, Section 7.1-40.4. § 7.1-40.4. Official folk dance. Square dancing, the American folk dance which traces its ancestry to the English Country Dance and the French Ballroom Dance, and which is called, cued, or prompted to the dancers, and includes squares, rounds, clogging, contra, line, the Virginia Reel, and heritage dances, is hereby designated as the official folk dance of the Commonwealth. Associated Press. "Assembly Digest." Daily News-Record [Harrisonburg] 10 Jan. 1991: 23. Print. Cavanaugh, Frank, and Helen Cavanaugh. "15 States For American Folk Dance." American Square Dance July 1991: 66. Print. "Code of Virginia." Virginia Law Library . Virginia Division of Legislative Automated Systems (DLAS). Web. 24 Feb. 2016. "Thirteenth State Folk Dance." 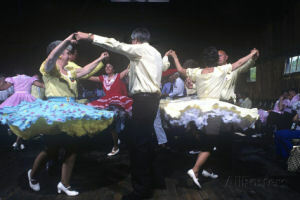 American Square Dance May 1991: 62. Print. Official website: Virginia Square And Round Dance Association (VASARDA). Hosted by Virginia Square Dancers Organization directory. Official website: Virginia Square Dancers Organization promoted as a "complete Directory For Virginia Square Dance Associations, Clubs, and Organizations, Directions, Editorials, Events, Links, Locations, News, Pictures, and Schedules.